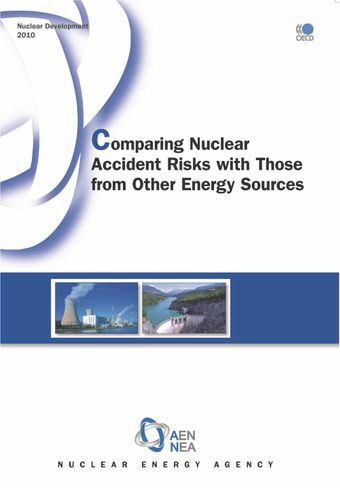 Nuclear accident risks are raised frequently in discussions of the acceptability of nuclear power generation, often framed in the context of the Three Mile Island and Chernobyl accidents. In reality, the safety record of nuclear power plants, by comparison with other electricity generation sources, is very good. This report describes how safety has been enhanced in nuclear power plants over the years, as the designs have progressed from Generation I to Generation III, and why it is important that safety remain the highest priority. This is illustrated by considering core damage frequencies and large radioactive release frequencies for each generation of nuclear power plants. It also compares severe accident data (those resulting in five or more fatalities) between different energy sources, both for immediate fatalities and for delayed (latent) fatalities, recognising that the latter data are often more difficult to estimate. Finally, it uses results of opinion surveys to analyse public confidence in nuclear operations and how this is correlated with trust in legislation and regulatory systems. It has been written for a general audience.